There are lots of reasons to buy a truck. Maybe you’re someone who needs the capability to haul a trailer full of horses or a boat. Maybe you need it for your workday because you do construction or work on a ranch. Or, maybe, you just like trucks. The Ford Raptor has you covered whether you need to do serious work or plan to simply get out there and have some fun. The Ford F-150 is a familiar sight on today’s roads. It’s the bestselling vehicle in the country so saying it’s popular is an understatement. 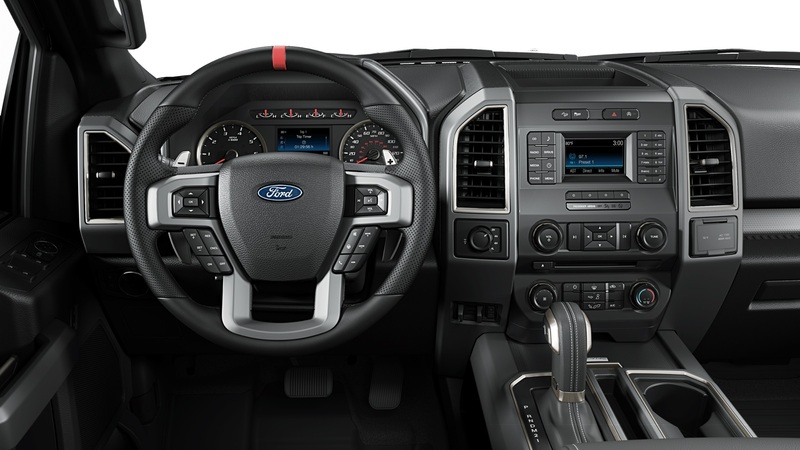 There are a huge number of F-150 variants with different engines, cab sizes, and bed lengths. The Raptor differentiates itself by being the one you want if you’re plannng on serious off-road adventures. Let’s start with power, which comes from a twin-turbo 3.5-liter V6 EcoBoost with 450 horsepower and 510 lb-ft of torque paired to a 10-speed automatic. It can tow up to 8,000 pounds when you get serious, or it can send you flying thrrough the desert at an exhilirating pace. 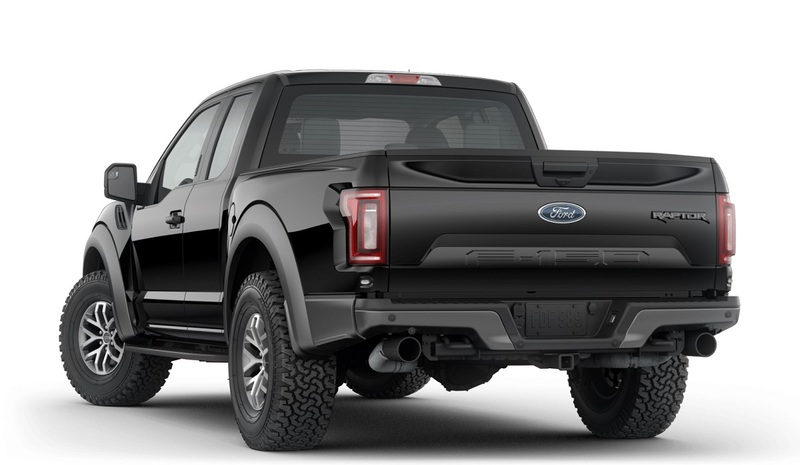 And that’s what you’re really looking for in a truck like the Raptor. It’ll do the work, but it’s focused on the fun and is a true performance vehicle with the features you need to manage high speeds in the dirt. 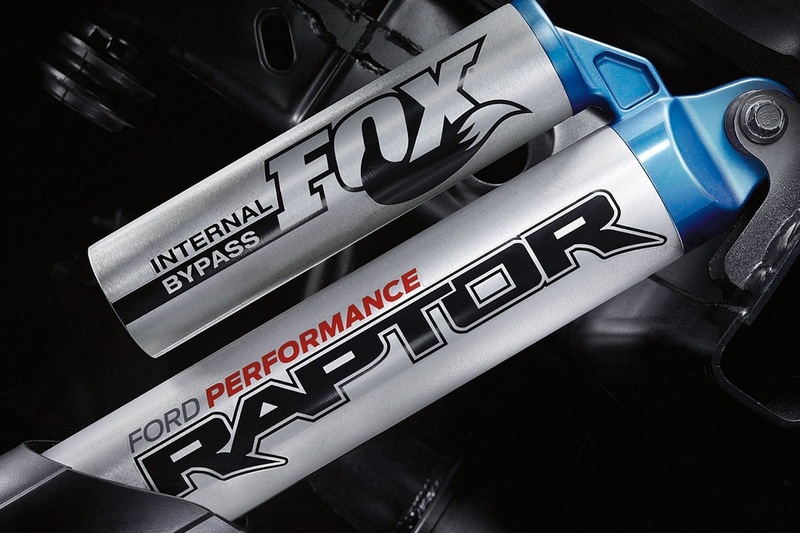 There are Fox Racing shocks with 13 inches of travel up front and 14 inches of travel in the rear. Variable damping rates based on how far the wheel travels give the Raptor better handling off road and a smoother ride on road. The Raptor has a two-speed four-wheel drive system, electronic locking rear differential, and terrain management system with six modes. Choose Normal, Sport, Weather, Mud and Sand, Baja for your high-speed desert racing, or Rock for low-speed rock crawling. Should you get yourself into trouble, there are two rear tow hooks and two front tow hooks, or maybe you’ll only need those to help the other guys out fo a ditch. If you’re towing when you’re not off driving through the desert, there’s a rear view camera with dynamic hitch assist to make lining it all up easy. Trailer sway control and a trailer brake controller make sure driving with that trailer is just as easy. Inside, standard feature include an 8-way driver’s seat with the option for heating and ventilation and even heated rear seats. Infotainment comes courtesy off SYNC with upgrades like a Kicker Subwoofer, SYNC 3, and B&O premium audio system. 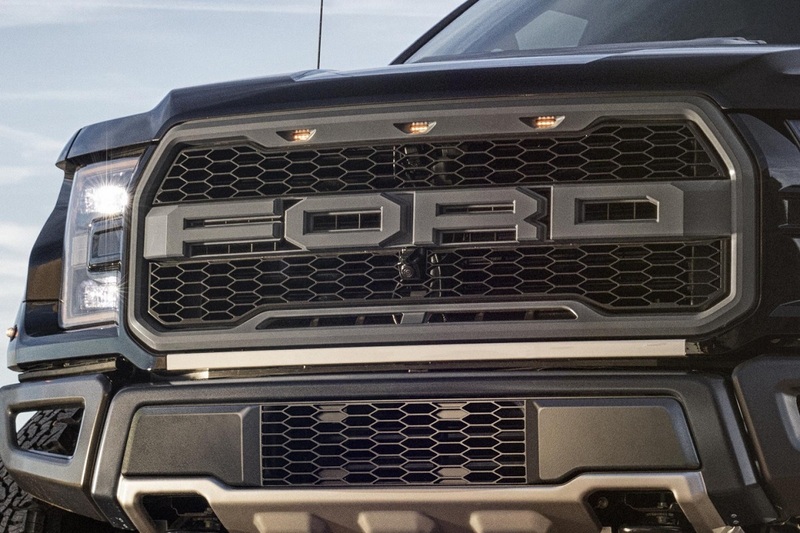 Driving the Raptor makes every other vehicle on the road feel small, even other F-150s. Although it’s 5.5-foot bed makes is shorter than some, it’s taller than the rest at 78.5 inches and wider at 86.3 inches with the mirrors folded. Although driving this out in the country is fine, taking it into the average parking lot is a challenge. But, you don’t buy this truck as a grocery-getter. That’s not to say it can’t haul your groceries, but the Ford F-150 Raptor is better suited to open stretches of dirt and sand. It can be practical, but it’s a heck of a lot more fun when you throw practical notions out the window. 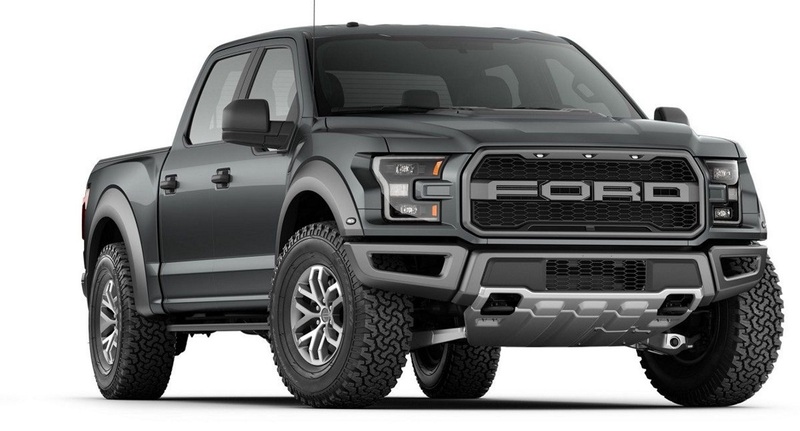 The 2018 Ford F-150 Raptor is priced from $50,675.